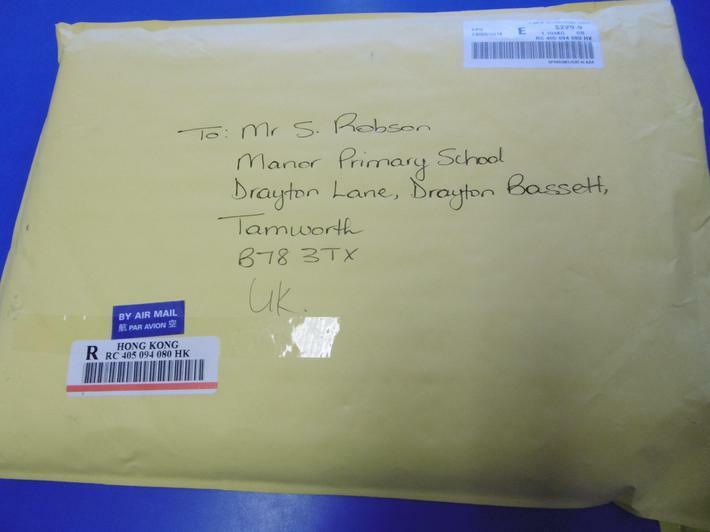 An exciting looking parcel with a Hong Kong Air Mail label on it arrived in school today. We will be opening it in assembly on Monday. I wonder what it could be?